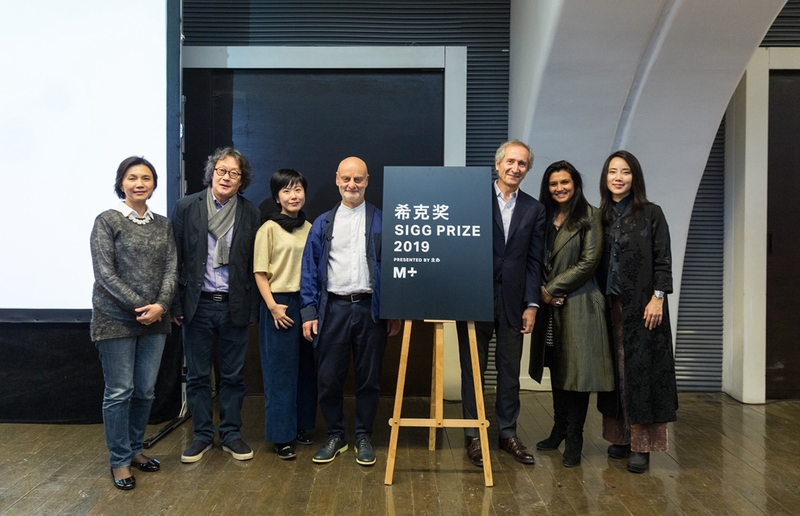 M+, Hong Kong’s museum of twentieth-and twenty-first-century visual culture in the West Kowloon Cultural District, announced the launch of the Sigg Prize, which recognises outstanding artistic practice in the Greater China region. This prize continues and expands the work the Chinese Contemporary Art Award (CCAA) has done over the past two decades. The Sigg Prize evolved directly from the CCAA, established by Dr Uli Sigg in 1997 and chaired by Liu Li Anna since 2011. As the first award for contemporary art in the Mainland, the CCAA has been a leading force in steering Chinese art and artists to the world, helping to frame the international conversation on Chinese contemporary art. M+ has supported the work of the CCAA since 2012, when the Sigg Collection—the most substantial collection of Chinese contemporary art in the world—arrived at M+. A member of the M+ team has been on the jury since then. The CCAA is celebrating its twentieth anniversary this year, and this is a critical moment for the award to move onto a greater global platform. To this end, the CCAA is becoming the Sigg Prize, a new M+ programme. The Sigg Prize is open to artists born or working in the Greater China region, with the intention to highlight and promote on an international scale the diverse and exciting artistic work and cultural dialogues taking place here. 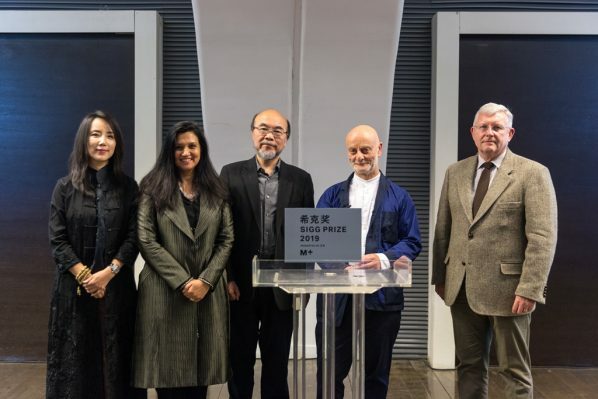 A nominating committee composed of curators and art critics who have profound knowledge of art practices in the Greater China region will propose candidates for the consideration of the Sigg Prize jury. When making their selection, the jury will focus on each artist’s practice over the past two years, reinforcing the prize’s commitment to bringing the most current production to a wider international audience. There is no age requirement for artists to be nominated. Six artists selected by the jury will be invited to present their work in December 2019 in the Sigg Prize exhibition, curated by Dr Pi Li, Sigg Senior Curator at M+, and held at the M+ Pavilion in Hong Kong. During the exhibition, the winner of the Sigg Prize will be announced. A cash prize of HKD500,000 will be awarded to the winner, and HKD100,000 will be awarded to each of the other shortlisted artists to encourage their future practice. The Sigg Critic Prize—formerly the CCAA Art Critic Award, established by Dr Sigg in 2007—will be organised by M+ every two years, starting in 2020. Modern Art, New York; and the International Advisory Council of Tate, London. recognises Chinese artists and art critics who show outstanding achievement in the creation of art, and in its analysis and critique. Granted every two years, the CCAA is an important presence in the Chinese art world, with its winners gaining significant international recognition. In addition to the Best Artist Award, the CCAA introduced the Best Young Artist Award in 2002 and the Contribution Award for lifetime achievement in 2004. Former CCAA winners include Gu Dexin (2004), Huang Yongping (2006), Ai Weiwei (2008), Zhang Peili (2010), Geng Jianyi (2012), Song Dong (2014), and Xu Bing (2016) for the Contribution Award; Zhou Tiehai (1998), Xiao Yu (2000), Yan Lei (2002), Xu Zhen (2004), Zheng Guogu (2006), Liu Wei (2008), Duan Jianyu (2010), Pak Sheung Chuen (2012), Kan Xuan (2014), and Cao Fei (2016) for Best Artist; and Sun Yuan and Peng Yu (2002), Song Tao (2004), Cao Fei (2006), Tseng Yu-Chin (2008), Sun Xun (2010), Yan Xing (2012), Ni Youyu (2014), and He Xiangyu (2016) for Best Young Artist. The CCAA Art Critic Award was established in 2007. Past recipients of the award include Pauline J. Yao (2007), Wang Chunchen (2009), Zhu Zhu (2011), Dong Bingfen (2013), Yu Miao (2015), and Lu Mingjun (2017).